Fast bowler claims 6/21 as Australia capitulate within the morning session of the fifth day of the fourth Test in Johannesburg. South Africa have beaten Australia by 492 runs in the fourth Test in Johannesburg to take the four-match series 3-1 after Vernon Philander delivered a sensational spell of fast bowling that will live long in the memory. 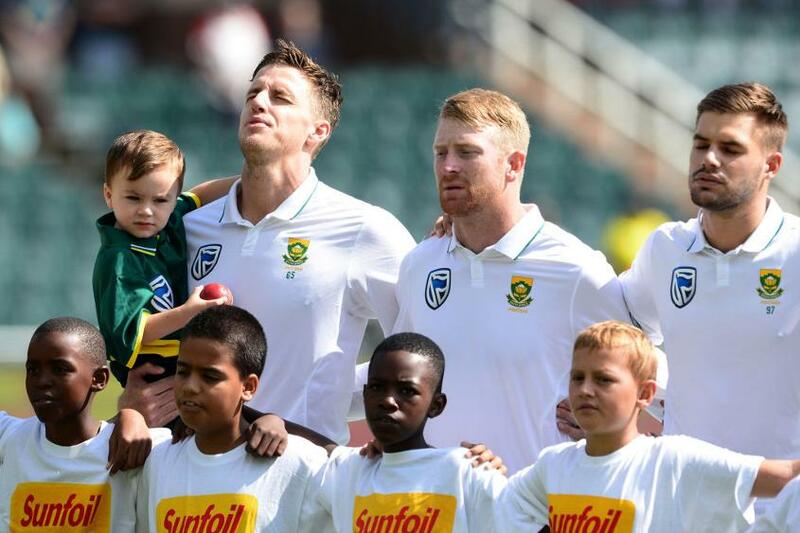 Many were wondering whether Morne Morkel would produce an outstanding swansong on his final day as a South Africa Test cricketer, but he was robbed of the limelight by his fellow quick. Australia’s day got off to a horrid start and never threatened to improve. Philander was on the money on the first ball of the day as Shaun Marsh clipped an inside-edge onto his pad, which gifted a simple catch to gully. Vernon Philander rips through Australia with a career best 6/21 in a 492 run win, South Africa's biggest ever win by runs! His second scalp was his 200th Test match wicket – at an average of just 21 – as the other Marsh, Mitchell, departed for zero. Philander had set the tone. From thereon, Australia could only delay the inevitable – and they barely did that. The next delivery dropped just short of third slip. Neutral supporters were denied the chance to see Morkel – who took 2/18 on day four – first up, as Kagiso Rabada also found his lines straight away. There can’t have been too many supporters outside of Australia who didn’t want to see the towering quick go out with a bang. Having batted Australia out of the game – and then batted some more – South Africa had robbed Australia of any hope on day four, setting a mountainous target of 612 after finally declaring on 344/6. The South Africa captain conceded that he also needed to manage his fast bowlers, some of whom were carrying knocks, including the mighty Philander who was struggling with a groin injury – not that you would have known it today. 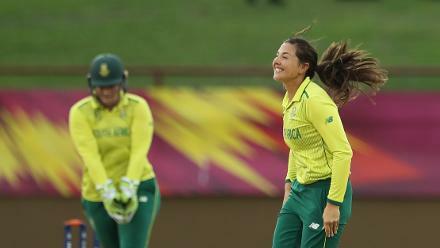 South Africa chose to add further bruises to an already peppered outfit, and the away side’s trepidation showed in their lack of fight on day five. Former Proteas skipper Graeme Smith labelled Australia a “broken team”. Philander got his third of the morning when Peter Handscomb was caught in two minds and dragged one on to his stumps, making it 95/6 – further reward for an unrelenting spell of bowling that was truly testing the batters’ judgement on whether to play or leave. This man could have coined the phase ‘bowling on a sixpence’. Another milestone was met: Philander had taken 50 wickets in 14 Tests against Australia. Pat Cummins – who had nine wickets and a half-century in the match – has proven himself to be a very capable lower-order batsman, but his premature arrival at the crease was testament to South Africa's excellent start to the final day. They could sniff the tail – and victory. New skipper Tim Paine nicked one behind off Philander, whose figures for the day were now 4/3 from 4.5 overs. That became 5/3 when he bowled Cummins to make it 100/8, before debutant Chadd Sayers was removed for a golden duck after surrendering with a loose and carefree drive, which was grabbed at third slip by Dean Elgar. It was fast becoming one of the great spells of bowling. It was a shame the final wicket was a run out, which denied Morkel a suitable ending to a fantastic Test career. South Africa will take a lot of confidence from this spirited performance, while Australia have a rebuilding job on their hands.